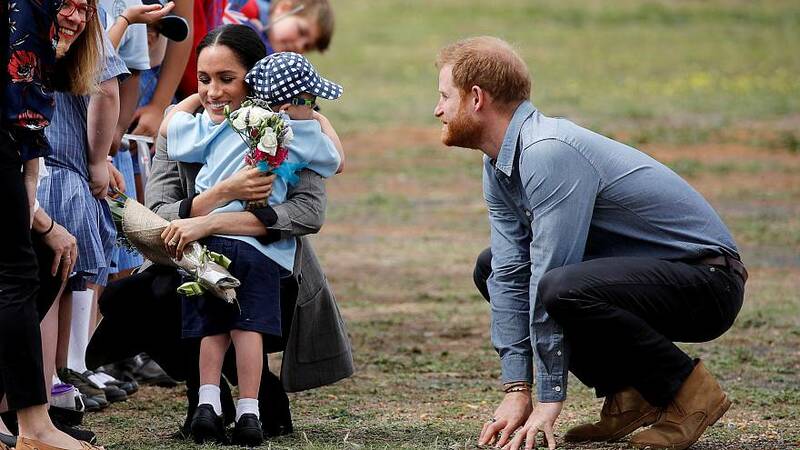 Five year old Luke Vincent couldn't resist the lure of the royal beard after the Duke and Duchess of Sussex arrive in Dubbo, Australia. After gingerly approaching the friendly prince, he reached out a gave it a little rub. Harry and Meghan were on the second day of their Pacific tour, which takes in Australia, New Zealand, Fiji and Tonga.